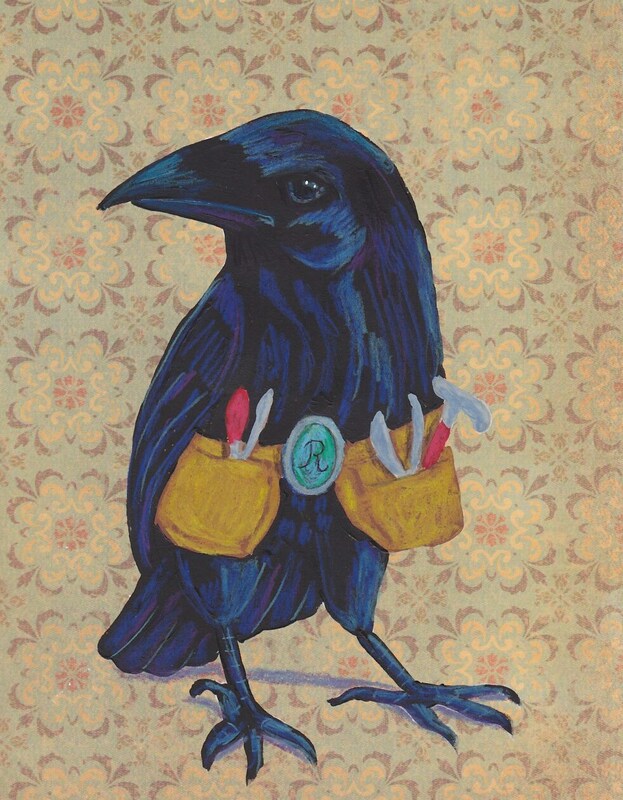 The back of the card reads..."Ravens are so intelligent they are even capable of using tools. But I'll bet you already knew that!" It was done with acrylic paint and colored pencil on patterned paper. Each notecard measures approx 4x5 inches and comes with a matching envelope in a cello sleeve.